From a comedy gig to a Lenten special. (SPOT.ph) There's never a shortage of things to do in the Metro, especially during the summer season. From concerts to movie premieres, you will never get bored should you ever find yourself stuck in the city. There’s also a whole list of plays to see to keep the theatergoer busy—from a comedy gig to a Lenten special. Aside from The Phantom of the Opera and Eto Na! 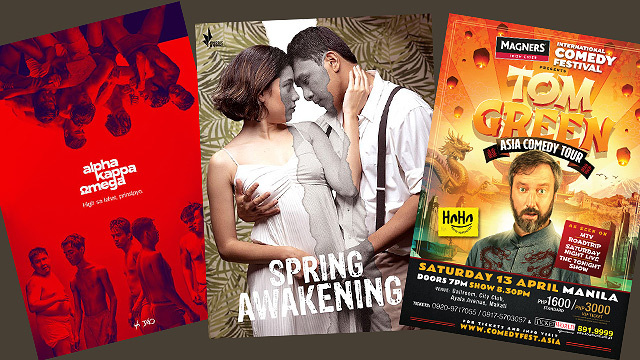 Musikal nAPO!, which have both extended their theatrical runs, what's worth seeing? Tanghalang Ateneo closes its 40th season with Guelan Varela-Luarca’s AKO: Alpha Kappa Omega, an adaptation of Mike De Leon’s film Batch 81. 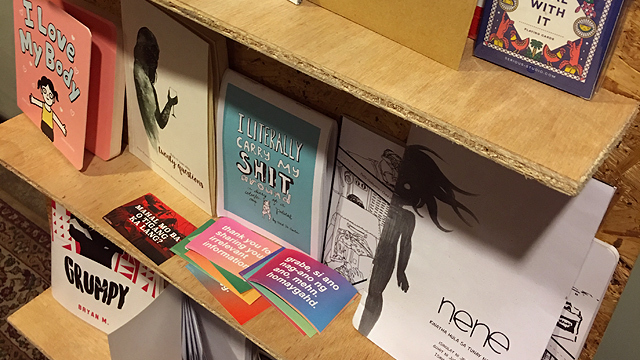 Set in 2018, AKO is a commentary on our present time. Theater veterans and Tanghalang Ateneo alumni Ron Capinding and Katski Flores lead the cast. The show runs until April 13 at Rizal Mini Theater, Ateneo de Manila University, Katipunan Avenue, Quezon City. Tickets, priced at P400, are available through Tanghalang Ateneo’s Facebook page. 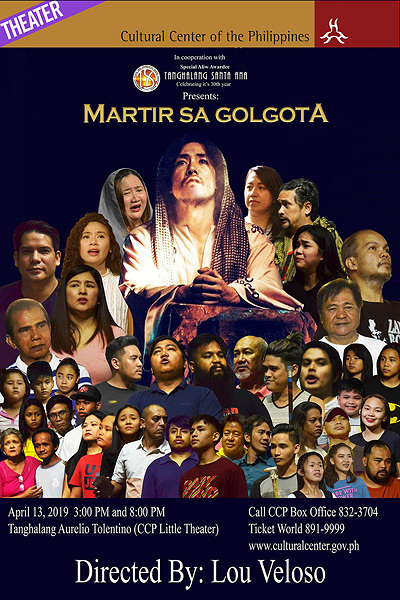 Martir sa Golgota is a traditional senakulo (or Passion play) with the promise of a contemporary twist. Under the direction of Lou Veloso, Tanghalang Sta. Ana reworks this Lenten tradition by mixing religious beliefs with current social issues. The show runs until April 13 at Tanghalang Nicanor Abelardo, Cultural Center of the Philippines, Roxas Boulevard, Pasay City. Tickets, priced at P850, are available through Ticketworld. 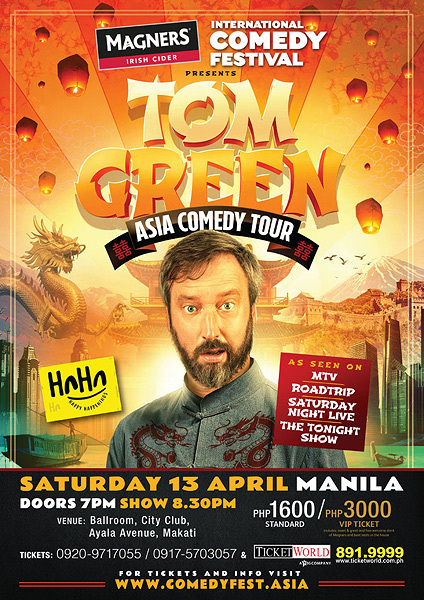 For a quick break from everything that's going awry in the world, acclaimed Canadian comedian Tom Green comes to Manila with his Asia Comedy Tour in April. Green initially found fame in his MTV comedy The Tom Green Show with his man-on-the-street pranks and absurd facial expressions. Aside from gracing the cover of Rolling Stone, he has also appeared on Saturday Night Live, Oprah, and The Daily Show. If you miss old-school MTV, Gord Brody, and The Chad, don’t miss this one-night-only stand-up show. The show is on April 13, 8:30 p.m. at The City Club, Ayala Avenue extension corner Malugay Street, Makati City. Tickets, priced at P1,600 are available through Ticketworld. 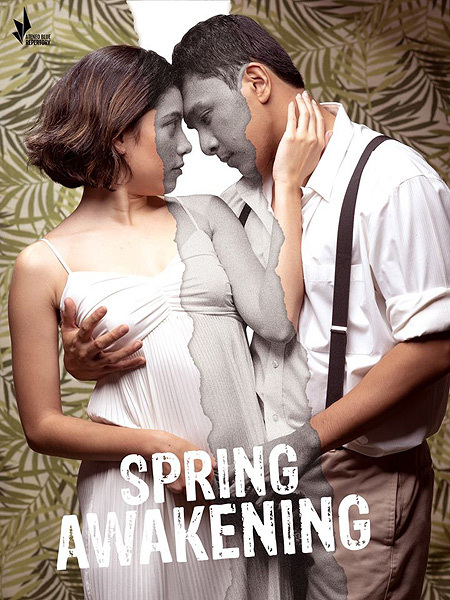 Spring Awakening, a rock musical by Duncan Sheik and Steven Sater, is based on the 1891 German play of the same title by Frank Wedekind, which explores the sexual awakening of teenagers in 1891 Germany. It opened on Broadway in 2006 with Jonathan Groff as the lead star, and went on to sweep Tony Awards. This is Ateneo Blue Repertory's second staging of the show after a successful run in 2013. The show runs until April 14 at Hyundai Hall, Areté, Ateneo de Manila University, Quezon City. Tickets, priced at P520, are available through KTX. 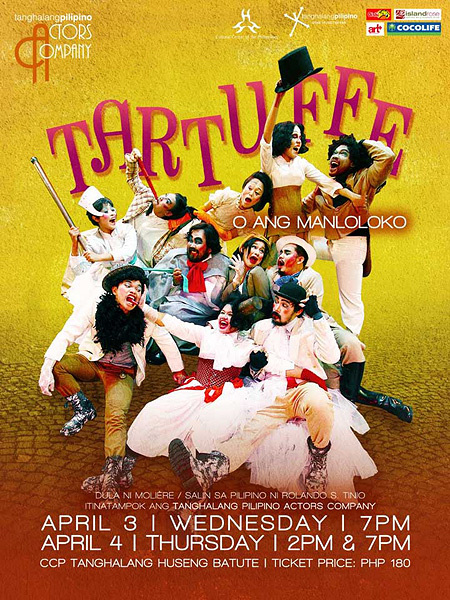 The Tanghalang Pilipino Actors Company celebrates its yearend recital with Rolando Tinio’s Filipino translation of French playwright Molière’s (Jean-Baptiste Poquelin) Tartuffe. The theatrical comedy focuses on the family of Orgon, a wealthy man who gets fooled by the false piety of the penniless Tartuffe. Under the guise of religious hypocrisy, Tartuffe almost destroys Orgon's family when he comes into their home and arranges for Orgon's daughter to marry him. The show runs from April 3 to 4 at Tanghalang Huseng Batute, Cultural Center of the Philippines, Roxas Boulevard, Pasay City. Tickets, priced at P180, are available through Ticketworld.